KISS completely took the music world by storm during the 1970s when they performed in outrageous costumes, huge boots and wore extreme makeup. It wasn't something the public was used to seeing for a group of male musicians. They were the exact opposite of squeaky clean looking groups like The Beatles. Recently inducted into the Rock and Roll Hall of Fame, KISS is legendary in music and have been big influencers in fashion. 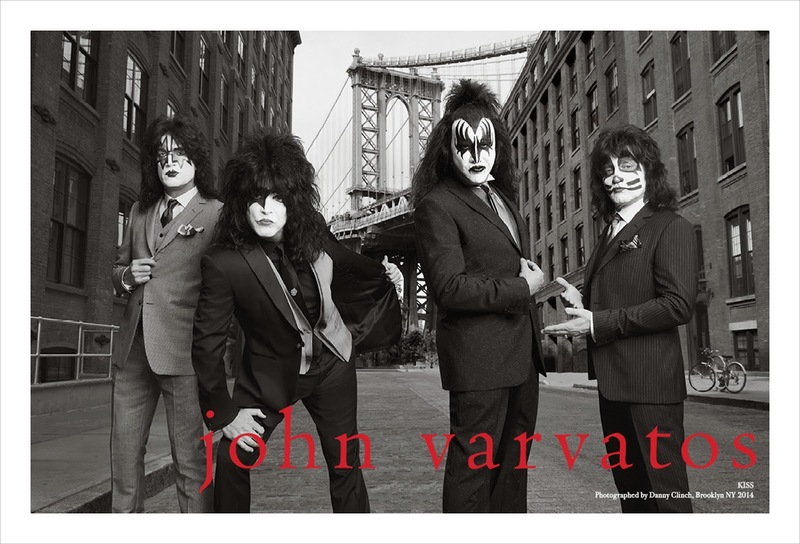 It's only fitting that designer John Varvatos launches his Spring 2014 ad campaign featuring the legendary group. 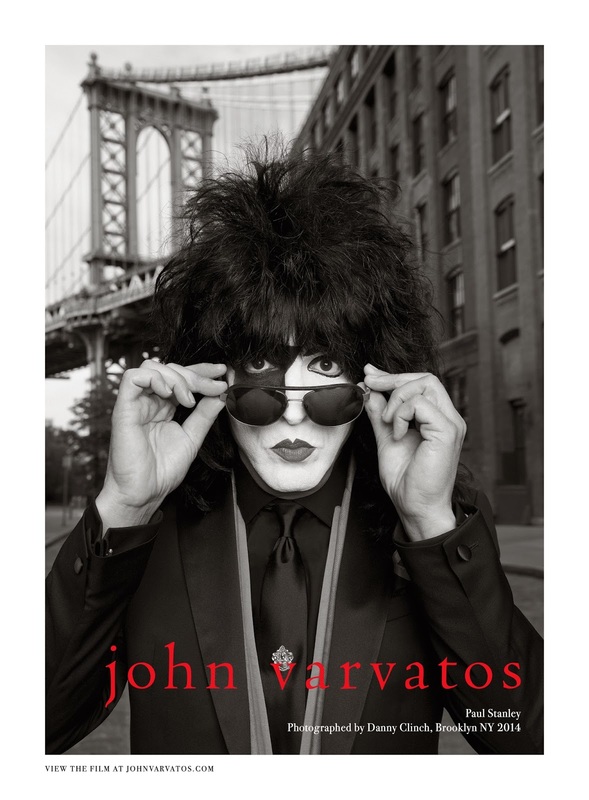 The band wears their iconic makeup and big hair with the flawless style of John Varvatos' tailored suits. The spring collection was inspired by their album, "Dressed to Kill" and is the perfect combination of classic with a little edge. "I wanted to sprinkle a little magic dust throughout the clothes in this collection, highlighting the idea of sartorial daring and masculine confidence that is integral to my vision, bringing it to a new level." 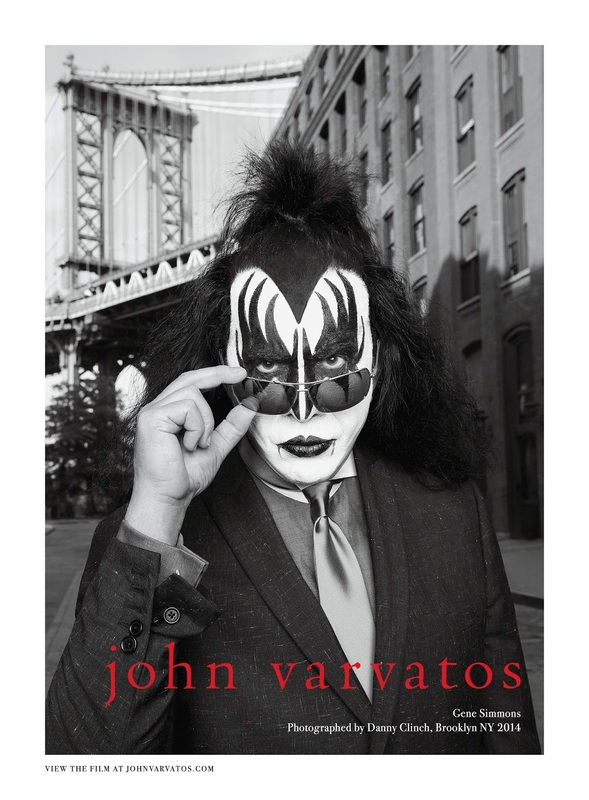 Varvatos said. "While working with KISS on my new advertising campaign, I was taken by how much everybody regardless of their age, loves them. For me, it is the idea of a superhero, a man in disguise with incredible powers, that dash of fantasy to my work while keeping tailored finesse and elegence high on the agenda. The result is energetic and strong, for a confident man who dares." When you see the images in the campaign it is clear how powerful it is to see these iconic men wearing the designs of one of fashion's most talented men's designers.